So we have a confession. Actually, it is more like a guilty pleasure. We really like the Angelina Jolie Tomb Raider movies. There is something that is just so fun about them. When we heard that they were rebooting the Tomb Raider franchise, we were a bit skeptical. However, after seeing the trailer for it, we were optimistic. Want to see the new Tomb Raider before anyone else? Check out our recipe below and find out how you can attend an advanced screening! 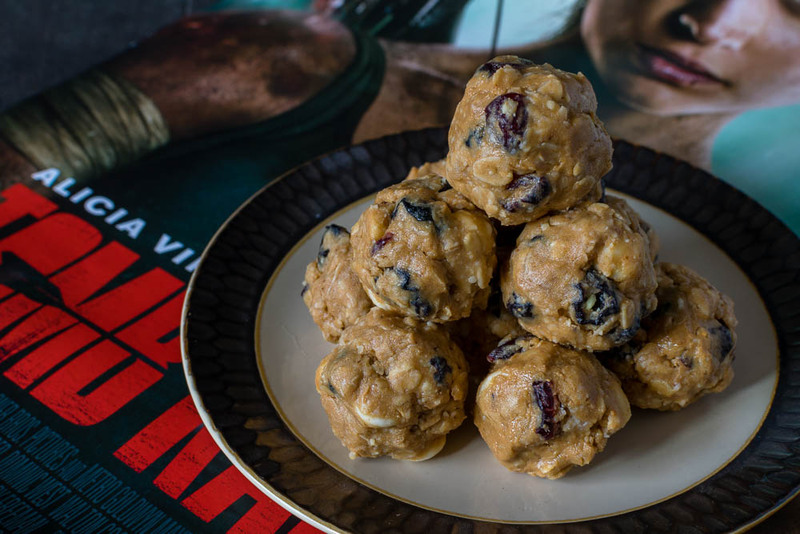 The inspiration for our Lara’s Energy Bites came from a couple different places. 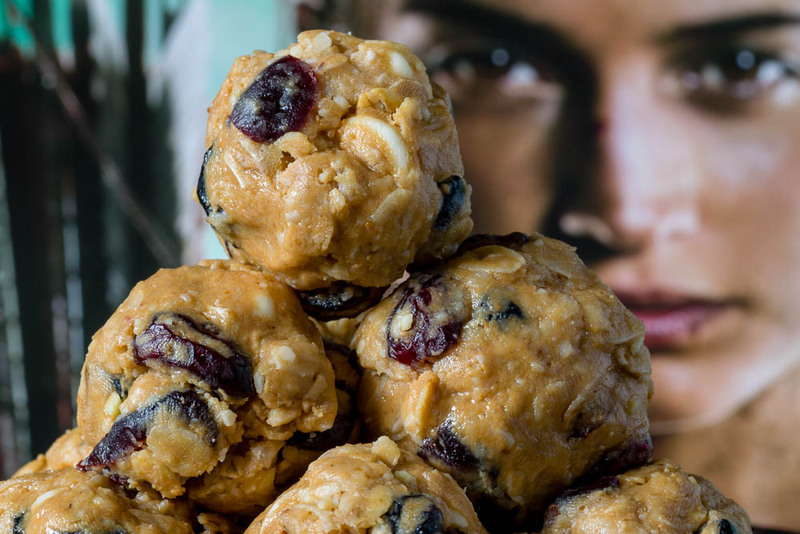 First, we wanted to create a healthy, energy packed snack that Lara might have in her pack. The next inspiration is a bit more subtle. With Lara being from the UK, we wanted to take a bit of color from the Union Jack. This was the reason we used blueberries, cranberries, and white chocolate! The result turned out fantastic and we can’t wait to take these on a hike! Now, with our Lara’s Energy Bites you are ready for your own adventure! But before you get going, we are giving away 10 pairs of screening tickets for a sneak preview of Tomb Raider! 5 pairs will be given away here and 5 will be given away on Instagram! The screening will be held at IMAX at Harkins Arizona Mills on Tuesday, March 13th. The screening starts at 7 pm and the winners should arrive at 6:15 in order to guarantee their seating. Winners will be selected on Monday, March 12th. Good luck! Mix with your hands until well incorporated. Shape a tbsp of mixture at a time into balls. Take them to-go! Refrigerate any leftovers. *The Geeks received no compensation to facilitate this write-up; opinions are wholly our own. Run of Engagement tickets provided by Allied Marketing.View our Disclosure Policy for more info.